Beginning in August, elec­tions will be held for the position of IEEE Division VII delegate-elect/director-elect 2019 and IEEE Division VII delegate/director 2020–2021 (the elected individual will serve both as both delegate and director). Division VII consists of the IEEE Power and Energy Society (PES) only. There are two candidates, both nominated by Division VII, vying for this office: Miroslav M. Begovic and Miriam P. Sanders. The successful candidate will serve as the IEEE Division VII director in 2020–2021. To learn more about the candidates before casting your ballot, read the biographies and candidate statements that follow. Miroslav M. Begovic is a Fellow of the IEEE. He is the department head of the Electrical and Computer Engineering (ECE) Department and Carolyn E. and Tommie S. Lohman ‘59 Professor at Texas A&M University. Prior to that, he was a professor and chair of the Electric Energy Research Group in the School of ECE, Georgia Institute of Technology, and an affiliated faculty member of the Brook Byers Institute for Sustainable Systems and University Center of Excellence in Photovoltaic Research. His research activities are in the monitoring, analysis, and control of power systems as well as the development and applications of renewable and sustainable energy systems. He was editor of the section on transmission systems and smart grids in Springer Encyclopedia on Sustainability(2012), guest editor of the IET Generation, Transmission and Distribution special issue on wide-area monitoring and control. He has authored nearly 200 journal and conference papers and IEEE standards and technical reports and has contributed over 100 keynote and invited presentations in all IEEE Regions. Nominated in 2018 for IEEE Division VII director-elect (2019) by the IEEE PES Nominations and Appointments Committee. Member, IEEE Nominations and Appointments Committee (2017–2018) and IEEE Fellows Committee (2017). PES president and chair, PES Governing Board and PES Executive Committee (2014–2015), and IEEE PES Past President (2016–2017). As president, he strongly supported membership and Chapter growth by supporting Chapter chair orientation trainings in all Regions every year (Student Chapters grew 40% yearly during the period) global outreach, especially in Regions 8 and 10, strengthening relations with sister associations, such as CIGRÉ and the Chinese Society of Electrical Engineers coordinating the first major reorganization of the PES technical committees and strongly supporting close coordination of strategic relations of PES with IEEE sister Societies, the IEEE Standards Association, and ISO. Member, IEEE Publication Services and Products Board Committee (2015). PES president-elect, member of the Governing Board and its Executive and Finance Committees, and chair of the IEEE PES Long-Range Planning Committee (2012–2013), which developed the IEEE PES Strategic Plan for 2014–2019. IEEE PES Governing Board, Society treasurer, member of the Executive Committee, and chair, Financial Committee (2010–2011). Chair, Constitution and Bylaws Committee, IEEE PES Governing Board (2006–2010). Vice-chair and chair, Student Activities Subcommittee, IEEE PES Power Engineering Education Committee (2004–2006); organized student travel to PES General Meeting for hundreds of students. Secretary (2002–2003), vice-chair (2004–2005), and chair (2005–2009), IEEE PES Coordinating Committee for Emerging Technologies; coordinated development of the Emerging Technologies Review, and introduced a popular series of Late-Breaking News sessions at the PES General Meeting about innovations, standards, and emerging technologies. Member of the IEEE PES Relaying Committee for over 20 years, chairing a number of its working groups that developed standards and reports. IEEE PES Atlanta Chapter and Section, various leadership positions (1989–1999). 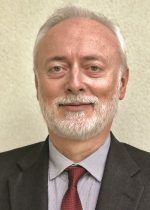 I have served the IEEE for over 30 years, as a member of PES, and Computer, and Circuits and Systems Societies, leading working groups in its technical committees, and engaging in leadership positions within PES and the IEEE Technical Activities Board as well as a number of IEEE committees. During that time, and especially within the past seven years, I have been actively involved in advancing IEEE PES and its solid revenue-supported business model, building close relationships with sister Societies, developing external relations with other professional associations, and building global outreach for the benefit of IEEE members. As an academic researcher closely aligned with industry (NEETRAC consortium at Georgia Tech) and agile university administrator (Texas A&M University), I am attuned to attracting and promoting talent, identifying and nurturing innovation, and judiciously managing budgets, all useful experiences for the IEEE Board of Directors position for which I am nominated. It would be my honor to support IEEE in its stable progression of influence, outreach, and continued growth to a half-million global members. Miriam P. Sanders is a Senior Member of the IEEE. She received her bachelor’s degree in electrical engineering from the University of North Carolina at Charlotte in 1980. She is a registered Professional Engineer in Florida and North Carolina. Her career has concentrated on protective relay with an emphasis in teleprotection and communications. She is currently with Schweitzer Engineering Laboratories, Inc. as senior communications applications engineer. Her previous experience includes five years as a senior instructor with SEL University teaching protection and communication fundamentals and 30+ years with Westinghouse, ABB, Pulsar Technologies, and Ametek Power Instruments as product manager for the Power Line Carrier products. She has also done consulting work with Quanta Technology. Sanders is a 40-year member of the IEEE and a Senior Member. She has held many positions in the technical activities of the PES. From 2013 to 2018, she served as an officer of the PES Technical Council, progressing from secretary to vice chair and then to chair, concurrent with her position as vice president of Technical Activities. As chair of the Technical Council, she facilitated the reorganization of the technical committees to be aligned with today’s technology. She also organized efforts to have tutorials created on popular IEEE standards for presentation around the world to promote the great works the technical committees accomplish. She has served as committee chair, vice chair and secretary for the Power Systems Relaying and Control Committee (PSRC) (2005–2010), as well as standards liaison for both the PSRC and the Power Systems Communications and Cybersecurity Committee. She has chaired several working groups in these committees as well. 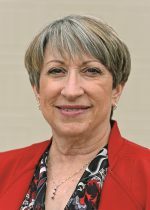 She became a member of PES as a student in 1978 and chaired the local student chapter. She also received the local PES Chapter’s scholarship during her time as a student. As a volunteer with PES, I have served the Society for 35+ years participating in technical committee work. I will endeavor to bring value to our younger engineers as well as those experienced engineers on technical and educational levels. PES is one of the largest Societies in the IEEE, and as such, we bring great value to the society. I will strive to ensure that our desires are known and validated at the IEEE level to strengthen both PES and IEEE. To continue to grow, we need to continue to attract younger and diverse members with meaningful projects and opportunities for volunteers at all levels to the betterment of society. The power and energy industry is going through a dynamic evolution with renewables, energy storage, and digital technologies, and PES needs to stay at the forefront to help guide this evolution. I will also continue my predecessors’ great work to curtail cost and keep the budget in check to benefit the volunteers.